The Hooded Seal is one of the largest seal species in the world. Their pups have a very beautiful grayish blue fur. These young seals are called bluebacks and they were often hunted for their soft, beautiful coats. 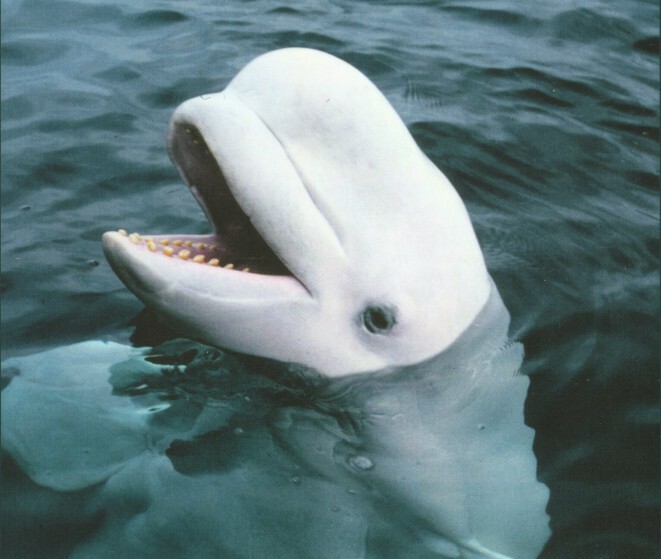 This species inhabit territories in the southern part of the Atlantic Ocean, as well as in waters around the Arctics and Iceland. Having to endure the coldest of weathers, these seals are great in size, reaching 2,5-2,7 m in length and up to 400 kg in weight. Males are mostly dark, with irregular white patterns, while females are a bit smaller and lighter, with less contrasting colours. 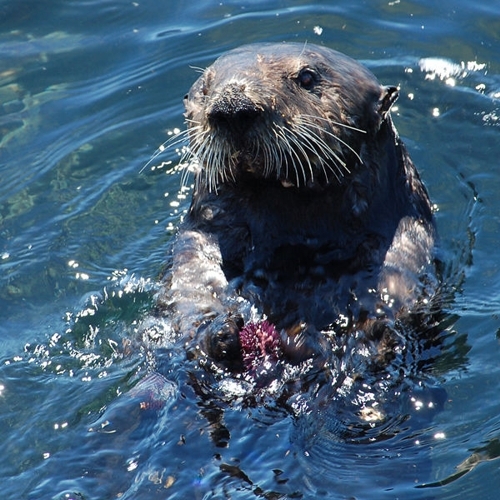 The seal’s former name – bladdernose – comes from the skin pouch on the males’ faces. If aroused, the pouch can be inflated, turning it into a big, red warning to any enemy of the seal. Unlike most seals, these Arctic inhabitants lead solitary lives almost all year round, except for the mating period. They spend most of their time searching for food under the ice – they’re great divers that prefer deep waters. Life on dry land is obviously not suited for this animal, thus it comes out of the water only when resting or giving birth. The Hooded Seal’s diet consists mostly of fish, although it eats a variety of squids and even plankton, too. Being able to dive as deep as 180 metres, the seal can even pick off snails and starfishes from the bottom of the sea. These seals always hunt alone and don’t share food with other brothers of their kin, but territorial interests are definitely not a problem for them, as there the waters of the Arctic seas are so scarcely populated that every Hooded Seal has a chance for its own area. The mating occurs at the end of March, and after a gestation period of about one year, a single pup is born on a floating chunk of ice. 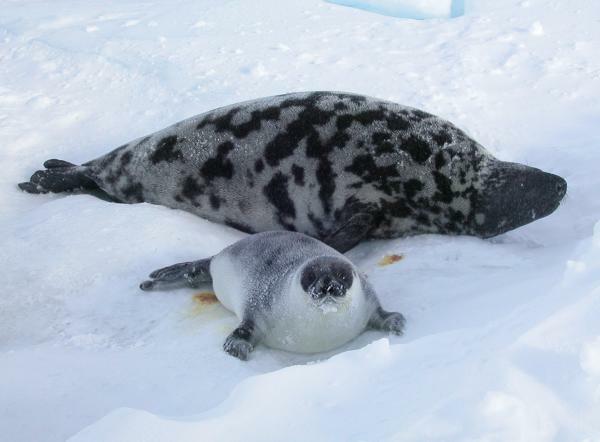 Hooded Seals are born quite well developed, being about 1 meter long and weighing as much as 15 kilograms. Mother feeds the pup for 10-12 days, and later the young starts its own independent life. They reach sexual maturity fairly late – only at the age of three years. 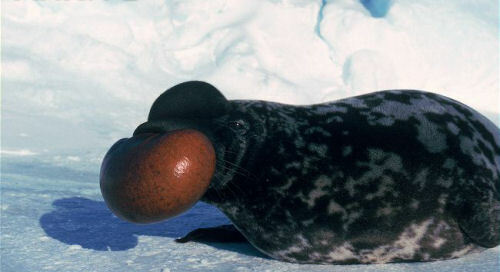 An interesting feature of the Hooded Seal is the bladder-like growth on the nose. By closing one of the nostrils, the male can inflate it with with air. This ability is actually trained – the males spend quite a lot of time learning to do that, and it doesn’t come easy – they can successfully show off their red warning sign only when they’re about 4 years old. The bladder is used to attract females, as well as scare rivals. A Hooded Seal with a large, inflated skin growth on its nose, shaking the head and roaring at the same time is an impressive view, thus it’s often enough to scare away any opponent.